Good news for all you Droid fans! Verizon and Motorola will be launching Droid 2 this week! Droid takes a special place in the market especially for being directly responsible for the popularity of Android in the US. The new Droid 2 takes it a step further and comes loaded with the latest Android Froyo (version 2.2). 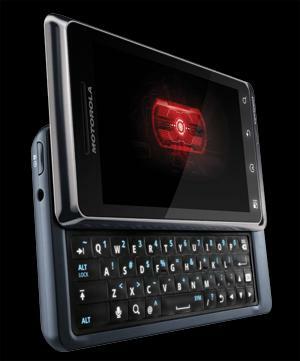 Droid 2 comes with a 3.7″ WVGA touchscreen and includes a 5MP autofocus camera with dual-LED flash. The phone also has a GPS, WiFi, and Bluetooth. Major upgrades from the original Droid include a 1GHz ARM processor with 8GB of built-in flash memory. It also has a QWERTY keyboard with it. It is also preloaded with the Flash 10.1! The Droid 2 also has the ability to create a 3G mobile hotspot however Verizon charges a little extra to do so. Droid 2 is expected to be available by August 12th and would cost $199 with a two-year contract commitment after a $100 mail-in-rebate. Not bad for the latest Android smart phone! Next Cars Hacked Through Wireless Tire Pressure Sensors!